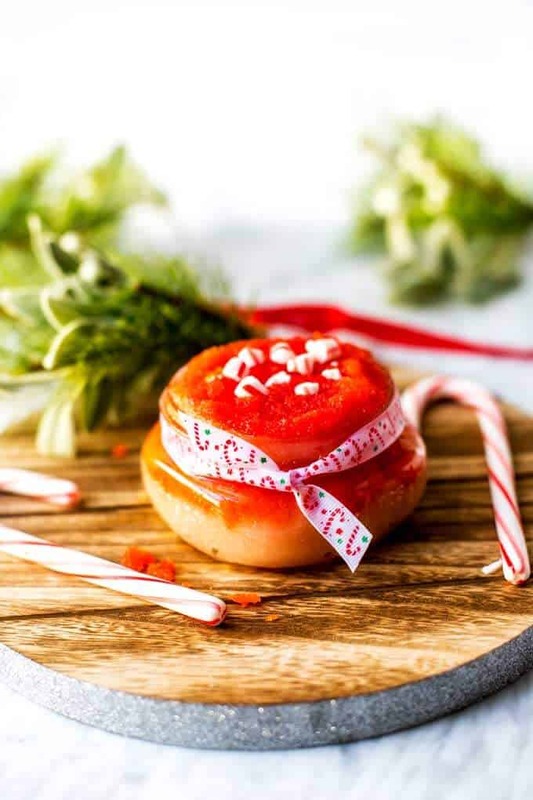 This DIY Candy Cane Sugar Scrub recipe made with essential oils is perfect for holidays. It makes a great Christmas Present when packaged in mason jars. To say that I’ve become slightly obsessed with making soaps and body scrubs is an understatement! I only recently started making soap, but I’ve been doing sugar scrubs and salt scrubs for a while now. I am never without one in my shower, and my skin is so much happier for it. Since I’m terrible at taking the time to moisturize all over, this is a way to make sure that my skin gets at least some moisturizer! Today I have a new favorite, that is the perfect DIY holiday gift! 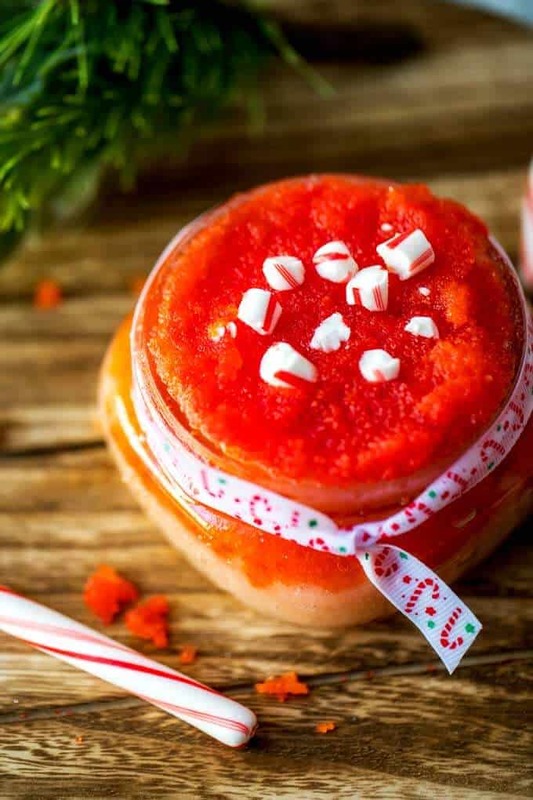 This Candy Cane Sugar scrub is easy to make and smells simply amazing. You can use a natural skin safe coloring, or leave it off! Either way, this sugar scrub will leave your skin looking and smelling great. 1 The Quality of The Essential Oils You Use Matters! 2.3.1 How Do You Make Sugar Scrubs? 2.3.2 Can You Put Food Coloring in a Sugar Scrub? 2.3.3 What Sugar to Use for Sugar Scrubs? I love it in the shower, and also like to keep a small jar with a scoop in my guest bathroom. I a medium bowl, combine sugar and salt. Add Candy Cane Essential Oil and stir until combined. If desired, add food coloring to half and layer in a jar. Otherwise, simply transfer to a jar. Store covered at room temperature for up to two weeks. How Do You Make Sugar Scrubs? 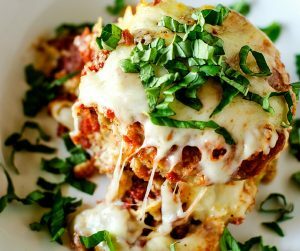 Combine dry ingredients in a medium bowl. This may be just sugar or a combination of sugar and salt. Stir in essential oils and food coloring if you are using. 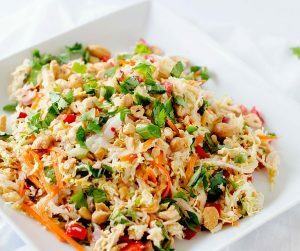 Add additional oil or sugar to desired consistency. Can You Put Food Coloring in a Sugar Scrub? You can put food coloring in a sugar scrub, but it is best to use one that is natural and marked as safe for skin. This helps to prevent staining of your skin as well as the bathroom. What Sugar to Use for Sugar Scrubs? You can use any sugar for sugar scrubs, but here are some things to consider. Fine white sugar will be more gentle on your skin and is excellent for the face. Brown sugar is a bit coarser and can be used when a bit more exfoliation is required. Raw or Turbinado sugar is great when you want a good exfoliation. 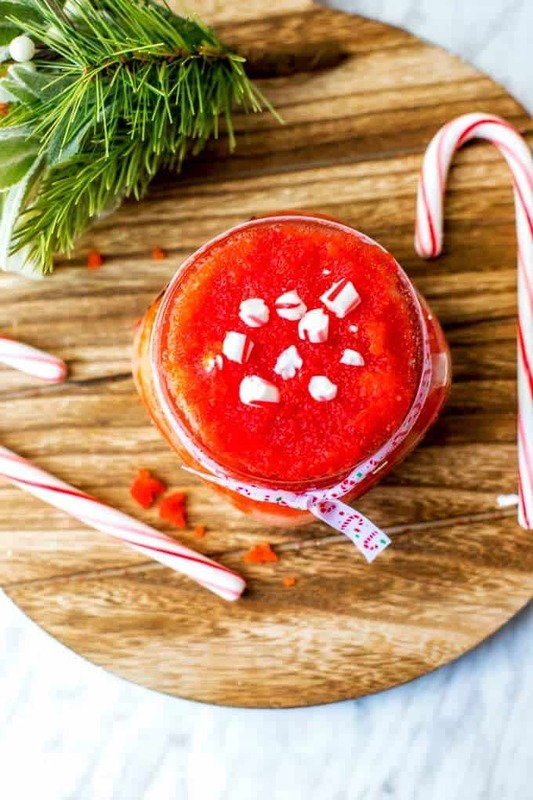 Thanks for sharing the candy cane sugar scrub! What food coloring do you recommend? I want to make some and having it colored would be fun.